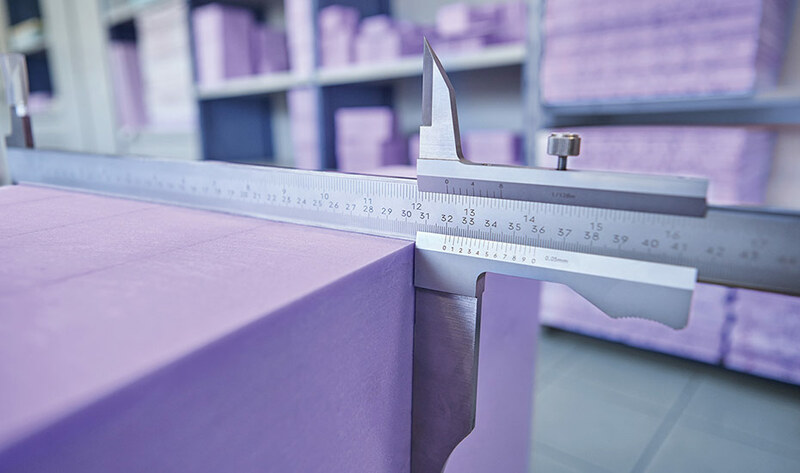 We believe that it is important for us to continuously measure the quality of our products and services and to adapt them to meet requirements. That’s why JACKON Insulation’s quality monitoring includes self-monitoring and third-party monitoring. We conduct the self-monitoring of JACKODUR products according to the requirements of EN 13164 and EN 13172 as well as the applicable approvals e.g. from Germany, France, Belgium and the Netherlands. For JACKOBOARD products, the requirements of the self-monitoring are listed in the General Building Authority Test Certificate and other national approvals. Within the framework of third-party monitoring, external institutes such as MPA Dortmund, MPA Leipzig, LNE Paris, Seco Brussels, IKOBKB Utrecht and BBA London regularly audit the self-monitoring, the production processes and the products.